Looking for a Tulsa Orthodontist? Dr. Noah can fit you with braces so you get the perfect smile that you’ve always wanted. To be considered an orthodontist, a dentist must complete two to three additional years of post-graduate study after dental school. Although not an orthodontist specialist, Dr. Noah is a general dentist with extra training in this area of dentistry and enjoys doing high-quality orthodontic work for his patients. 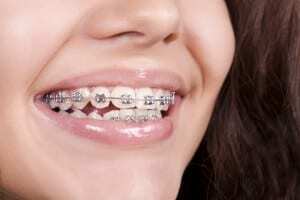 For years wearing orthodontic braces were your only option but things have changed. In addition to traditional braces, Dr. Ryan Noah also offers Invisalign Braces that allow you to get a perfect smile without the prolonged period of sharp metal wires in your mouth. Plus, they’re “invisible” so you won’t feel self-conscious about wearing braces. Click here to see another option to traditional braces, called Invisalign. Very few people have naturally straight teeth. If you feel unhappy or dissatisfied with your natural smile, you may call our office for a complimentary consultation and learn the benefits of orthodontics. During this time you can meet personally with Dr. Noah while learning about the latest treatment options available to straighten your teeth. We offer affordable prices to our patients and enjoy building long term doctor to patient relationships by providing exceptional dental care. You may call us at (918) 321-2000 to schedule your appointment. Our orthodontic services are generally handled at our Glenpool location.